Lime Kiln Theater’s Summer 2016 concert series continues on Saturday, July 2, as Walker’s Run will perform with opener Dori Freeman. Doors open at 6 p.m., and the show starts at 7:30. To celebrate the holiday weekend, parking areas will open at 5 p.m. for tailgating. Advance tickets are $15 and are on sale now atwww.limekilntheater.org. Tickets will be $20 at the door, with cash, Visa, MasterCard, and Discover all accepted. Lime Kiln Theater’s summer concert series is sponsored by Devils Backbone Brewing Company and Charles W. Barger & Son Construction. Devils Backbone beer, Kind Roots Café food, and Rockbridge Vineyard wine are available for purchase at all shows. The Walker’s Run concert is presented by Attochron, The Jefferson Florist and Garden, Kappa Alpha Order and Sweet Things Ice Cream Shoppe. Nearly 20 years ago, guitarist and songwriter Brennan Gilmore began gathering musicians who, like Gilmore, had grown up in the rich traditions of Appalachian music and fused them with a wide range of other musical influences. The musical collective ofWalker’s Run has mutated and evolved over the years and now includes fiddler Nate Leath, mandolinist Daniel Knicely, percussionist Nick Falk and original bassist Zack Blatter. Will Lee, a founding member with Knicely of the legendary Virginia newgrass band Magraw Gap – a major influence on the younger generation of musicians – will be joining the band for this special evening of music. The new lineup of Walker’s Run stretches even further beyond the realm of traditional Americana, incorporating African, jazz and punk influences. The self-titled first studio album from 24 year-old Dori Freeman announces the arrival of a wonderful new talent. A quintessential Americana album, Dori Freeman has its own unique sound while also drawing from many different genres. Freeman says the distinct sound of the record, produced by acclaimed singer/musician Teddy Thompson, came about organically. “We just wanted it to sound genuine,” she says. “To be current and sincere.” That sincerity is palpable on the album, made up of songs full of longing, wit and haunting vocals from Freeman, who sings in a seemingly-effortless but layered, sensual way, causing each word – and note – to take flight. 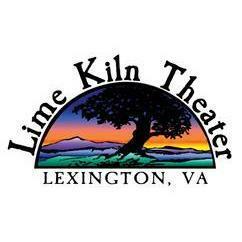 Lime Kiln Arts, Inc. is a non-profit (501c3), operating at Lime Kiln Theater in Lexington. It opened in 1984 and is rooted in and inspired by the magic of a natural, outdoor theater. After a brief hiatus that started in 2012, Lime Kiln Theater is thrilled to present its third straight summer season of live music featuring local, regional and national acts. For more information, visit Lime Kiln on the web at www.limekilntheater.org, or check out our Facebook page atwww.facebook.com/LimeKilnTheater.